(PROVIDENCE, RI) • Jenna Sullivan and Quentin James from Marshfield, MA were the Best Screenplay Grand Prize Winners for this year's 2013 FLICKERS: Rhode Island International Film Festival (RIIFF) Screenplay Competition for their winning screenplay “Growing Things.” George T. Marshall, RIIFF Executive Director/CEO, made the announcement of the 2013 awards. According to the Jenna Sullivan, "If 'Lost in Translation' and 'Punch Drunk Love' had a baby and that baby was adopted and raised by 'Natural Born Killers' and 'Sweeney Todd,' it would grow up to be 'Growing Things.'" The story revolves around Lilith, a wayward and neurotic out-of-work costume designer who meets Samuel, a successful, enigmatic, serial-killing gardener and their instant connection. Both are struggling to find their place in the world. Suffocating in their virulent self-loathing, the couple discovers what they think is their salvation: killing people. As the two self-hating misfits' love unfurls, they partner in both business and pleasure, experiencing success in their landscaping company and wreaking revenge on anyone foolish enough to like them. "This is an exceptional screenplay. It's smart, witty, and very well thought out. Jenna and Quentin's unique writing style conveys a dark comedic tone that works wonders in bringing the story's characters to life." Shawn Quirk, RIIFF Program Director. "It was an outstanding year for screenplay entries. The exceptional quality and the solid storytelling were compelling, making for difficult decision-making on the part of our international group of judges," added Quirk. "Our adjudication team read 371 screenplay entries this year, the largest entry base in the competition's history. Each submission was analyzed and scored according to a set of criteria, including character, dialogue, setting, plot and technique." "After extensive reading and deliberation among the judges, prizewinners were chosen in four different categories: Main Competition, LGBTQ, International Focus and Short Screenplay," he added. "Each will come with its own set of awards." Prizes awarded to the winners of the screenplay competition (which vary with the specific screenplay category) include: a free year of screenplay promotion services to the winners, through ScreenwriterShowcase.com; a 1-year Writers Database membership from Script Pipeline; Full Script Delivery to over 3,000 industry professionals comprised of studio executives, producers, agents etc. through ScriptDelivery.net; Final Draft Screenwriting Suites from Final Draft software; and passes to the 2014 FLICKERS: Rhode Island International Film Festival and the ScriptBiz™ Screenwriter's Workshop. 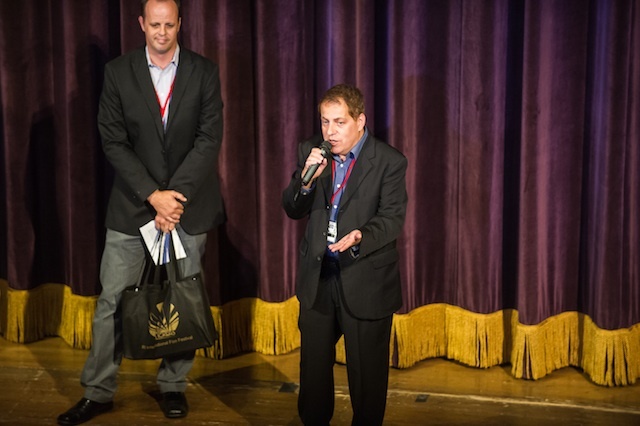 The BEST SCREENPLAY Grand Prize winner will be brought to Providence to attend the 2014 ScriptBiz program, where their screenplay will be a central focus of the program, plus receive a private script consultation and an official award on RIIFF's Opening Night Celebration. Lodging will also be provided. 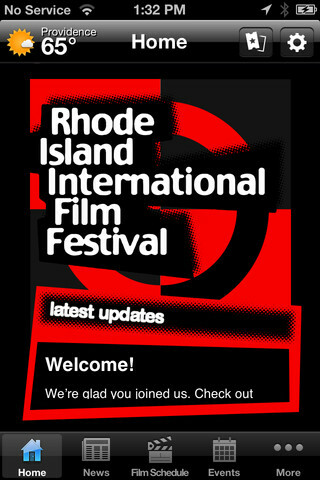 The mission of the Rhode Island International Film Festival is to discover and empower filmmakers. Held in Providence, and at locations throughout the state, RIIFF is one of only 75 film festivals worldwide that is a qualifying event for the Oscars. It is also New England’s largest film festival. Its innovative programming, cultivated industry ties, and loyal audiences have made the Festival a strategic and desirable platform for film premieres, drawing hundreds of independent filmmakers from around the globe. The next Festival will take place August 5-10, 2014. For more information about the festival. SCRIPT PIPELINE WRITER'S DATABASE MEMBERSHIP With the Script Pipeline Writers Database membership (valued at $99.95), writers may search through over 1,000 companies looking for material, some of which they can query direct via the site. 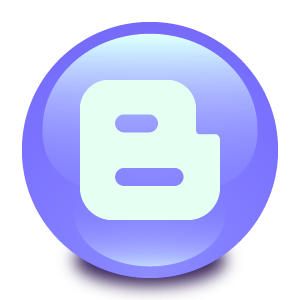 In addition, they will receive free unlimited query/logline review from a Script Pipeline analyst, as well as discounts on notes from our Writers Workshop. Script Pipeline has over 1,000 companies in our database, and approximately 200 industry contacts receiving annual contest finalist loglines and scripts we give a "Recommend." These companies include both mid-level and major management and production companies, and a handful of top agencies.